Being a beauty blogger means that my job literally consists of trying out a ton of new products in my beauty routine. Even still, I do have holy grail favorites that I take it upon myself to repurchase year after year. In fact, it takes a lot for me to repurchase a product due to the length of my “to-test” list. These are my tried-and-trues that I go back to, even after the hype of latest and greatest, because they just downright work. You’ve probably seen this eyeliner in practically every makeup look I do. With winged liner being my signature, this is the one liner I truly trust to give me a defined cat eye. It goes on super black with a flat matte finish that I prefer when it comes to eyeliner. While it’s not advertised as water-proof, it’s still very long lasting even on sweaty days. It doesn’t smudge, flake or fade throughout the day and at five bucks, is the best liquid liner I’ve ever worn! You might be skeptical about how well a $2 product could work, but I’ll tell you: I’ve been using this primer for almost seven years now and it’s rarely ever done me wrong. I say “rarely ever” because sometimes there are eyeshadow formulas that just don’t want to stay put period. But with shadows across the price spectrum, this primer works just as well as any other to keep them in place without creasing. I remember buying this fat orange mascara for the first time as a young teen, after seeing Drew Barrymore in the commercial. This is a great every day mascara for a little boost of volume and length with fanned-out separation. It’s not a huge dramatic effect, but more natural looking and easy to apply since you don’t have to worry about clumps. I also like using this underneath false lashes, since it gives a clean look that incorporates into falsies easily. This is my favorite concealer for several reasons— first off, it comes in a variety of shades, including color correcting, so I usually keep about three different ones on hand for brightening, color correcting and covering. It has buildable coverage and a true-skin finish so can be worn alone with the rest of the face bare for a quick no-makeup look, or under foundation without being noticable. This is one of the few concealers that doesn’t dry up or flake on me throughout the day, regardless of what type of finish my foundation is. As someone with acne-prone skin with hyperpigmentation, it’s hard to find BB creams that have enough coverage without sacrificing the lightweight feel, which is the whole point! 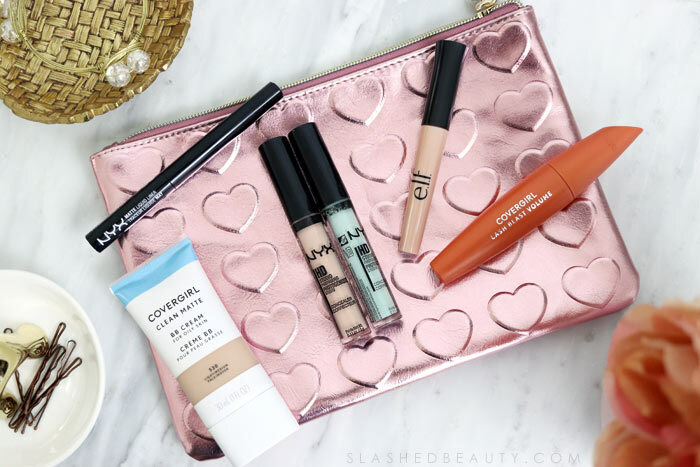 The Covergirl Clean Matte BB cream is perfect for my no-makeup makeup days, where I don’t want to feel like I have makeup on while still evening out my skin. The formula is super comfortable and looks very natural on the skin while drying down to a near-matte finish that helps combat shine throughout the day. It’s what I reach for when I don’t want to wear a full face, especially when I’m on vacation. 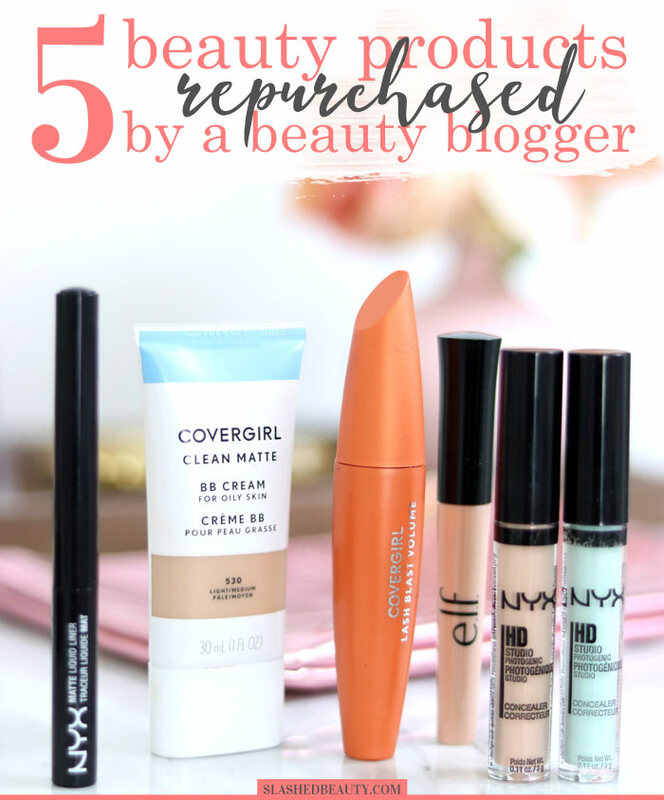 What products have you been repurchasing for a while?